Mariss Jansons, Vienna Philharmonic. Sony Classical 88875174802 (2-disc set). The Vienna Phil have been celebrating this occasion for seventy-five years, and I'm sure they will still be doing it in another seventy-five. As usual, a record company (in this case, Sony, although it has varied through the years) recorded the event live, and as always there is a different conductor at the helm each year (in this case, Mariss Jansons). Furthermore, and also as always, the Vienna Philharmonic plays magnificently, as though born to the music. Well, I daresay, most of the Vienna players were, in fact, born to the music. The Vienna Phil's custom of offering a New Year's Concert started in 1941, and it's been going strong ever since. EMI, RCA, DG, Decca, and Sony are among some of the companies that have recorded the concerts over the past few decades, and in keeping with the orchestra's tradition of having no permanent conductor, they invite a different conductor to perform the New Year's duties each year. 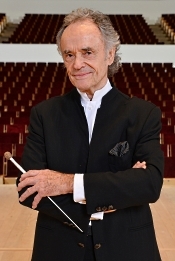 These conductors in recent times have included some of the biggest names in the business, like Carlos Kleiber, Willi Boskovsky, Herbert von Karajan, Claudio Abbado, Lorin Maazel, Seiji Ozawa, Riccardo Muti, Georges Pretre, Nikolaus Harnoncourt, Franz Welser-Most, Daniel Barenboim, Zubin Mehta, and this year Mariss Jansons. The two CD's in the set contain twenty-two items from the concert, but if you want to hear (and see) the concert in its entirety, the folks at Sony make it available on DVD and Blu-ray. Or if you're into vinyl, they're issuing it in that configuration as well. And as if that's not enough, the Sony people have also released a big "75th Anniversary Edition" box set containing all 319 works ever performed at the concert, under 14 conductors. A little something for everybody. Anyway, the present set contains the expected entries: Johann Strauss's "Treasure Waltz," "Emperor Waltz," "Pleasure Train," "A Night in Venice Overture," "At the Hunt," "At the Double," and, of course, "The Blue Danube"; Josef Strauss's "Harmony of the Spheres," "On Vacation," and "The Dragonfly"; Eduard Strauss's "Express Mail"; and the elder Strauss's "Signs Galop" and in the traditional conclusion the "Radetzky March," with its attendant hand-clapping. But in addition this year, we find eight numbers never before played at a New Year's concert: Robert Stolz's "March of the United Nations," which leads off the proceedings; Johann Strauss's "Violetta," "Singer's Delight," and "Furstin Ninetta Entr'acte Akt III"; Carl Michael Ziehrer's "Viennese Girls"; Eduard Strauss's "Out of Bounds"; Josef Hellmesberger's "Ball Scene"; and, a real showstopper, Emile Waldteufel's "Espana." Jansons has a pleasing grasp of the waltz idiom. He never forces the dance rhythms too far but provides them a graceful gait and flowing pattern. The waltzes, therefore, come across less as traditional, danceable music than as sweet, Romantic gestures. It's all quite pleasurable, quite listenable, quite easy on the ear, with not a little tugging of the heartstrings. The polkas and gallops, to their credit, sound robust and zesty. 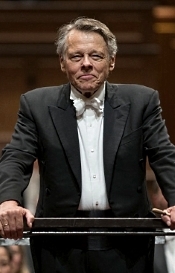 Jansons changes the pace effectively, investing each of the faster numbers with the kind of tempos and contrasts that provide appropriate variety to the program. Of course, it helps to have a first-rate, world-class orchestra at the conductor's disposal to accomplish this feat. The Vienna Phil sound wonderful. And the inclusion of the Vienna Boys Choir in two of the numbers comes as a welcome treat. The booklet notes by Sylvia Kargl and Friedemann Pestel include information about each of the concert selections in concise yet entertaining terms. However, neither the booklet nor the packaging contains any track timings. Seems odd. Producer Friedemann Engelbrecht and engineers Tobias Lehmann, Rene Moller, and Julian Schwenkner recorded the concert live for Teldex Studio Berlin and Sony Classical at the Goldener Saal des Wiener Musikvereins on January 1, 2016. Part of the fun of these annual concerts is that the orchestra performs them before a live audience, and the audience becomes as much a part of the show as the music. Accordingly, one is always aware of the audience's presence. They are there breathing, coughing, shuffling, and applauding. Otherwise, we get the anticipated close-up sound, but, thankfully, not too close-up. It seems a nice compromise for a live event, minimizing some of the audience noise while retaining some of the concert hall's natural bloom and ambience. The detailing sounds pretty good, too, without being absolutely top-drawer, as do the dynamics and frequency range (with an especially satisfying mid-bass thump). The sound's smoothness in particular will not disappoint fans of these New Year's concerts. 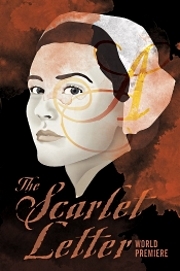 This May, Opera Colorado will present the world premiere of The Scarlet Letter—a new adaptation of Nathaniel Hawthorne's iconic American novel by composer Lori Laitman and librettist David Mason. The premiere marks yet another major milestone for Opera Colorado, which recently announced a return to a three-production season in 2016-17. Under the direction of Beth Greenberg, who is making her Opera Colorado debut, and with set design by Erhard Rom and costume design by Terese Wadden, Opera Colorado's premiere of The Scarlet Letter will feature soprano Laura Claycomb as Hester Prynne in her Opera Colorado debut. Claycomb takes the place of Elizabeth Futral, who has had to withdraw from the production due to personal health reasons. Additional cast members include: baritone Malcolm MacKenzie as Roger Chillingworth; tenor Dominic Armstrong as Arthur Dimmesdale; mezzo-soprano Margaret Gawrysiak as Mistress Hibbons; baritone Daniel Belcher as Governor Bellingham; and tenor Kyle Erdos Knapp as John Wilson. "Opera Colorado is committed to presenting new American opera—from our co-production of John Adams's Nixon in China in 2008, to the presentation of Daniel Catan's Florencia En El Amazonas in 2012, to our upcoming presentation of Laura Kaminsky's As One in 2017, and now the world premiere of The Scarlet Letter," stated General Director Greg Carpenter. "Lori Laitman and David Mason have created a truly American opera which speaks to social issues that are just as relevant today as they were over 160 years ago when Hawthorne first published his celebrated novel." Carpenter continued, "We are sorry that Elizabeth has had to withdraw from the production and wish her all the best. We are thrilled that Laura Claycomb was available to step into the role of Hester Prynne. We know that Laura will bring this role to life in a most compelling way and we look forward to introducing her to our audiences." Continuing with their Choral America season Sacred Music in a Sacred Space presents Frank Ferko's Stabat Mater and the New York premiere of William Culverhouse's Requiem. The acclaimed Choir of St. Ignatius Loyola under director K. Scott Warren welcomes soprano Tami Petty for Ferko's Stabat Mater and harpist Victoria Drake for Culverhouse's Requiem. The annual Passion concert at Church of St. Ignatius Loyola on March 16th at 7:00 p.m. connects ancient texts with real-life experiences in works by two living American composers. Sacred Music in a Sacred Space's annual Passion concert, held just prior to Palm Sunday, perfectly sets the stage for the unfolding drama of Holy Week and Easter. This year's concert, to be held March 16, 2016, at 7 p.m. brings a program of powerful, moving works by two masterful living American choral composers – Frank Ferko and William Culverhouse – to the arresting visual beauty of New York City's Church of St. Ignatius Loyola. Tickets range from $25-80 and may be purchased by calling 212.288.2520 or visiting http://www.brownpapertickets.com/event/1850272. Maya Beiser will perform twice at this year's Big Ears Festival. On Thursday, March 31, 2016 at 7pm, she is the featured soloist in Philip Glass's Cello Concerto No. 2 "Naqoyqatsi" with the Knoxville Symphony at the Tennessee Theatre (604 Gay St., Knoxville, TN). On Saturday, April 2, 2016 at 2pm at the Bijou Theatre (803 Gay St.), Maya will play a solo show featuring music written specifically for her including Steve Reich's iconic Cello Counterpoint (with film by Bill Morrison), Osvaldo Golijov's haunting Mariel, Michael Harrison's otherworldly Just Ancient Loops (with film by Bill Morrison), plus David Lang's visceral take on Lou Reed's Heroin and Maya's own signature interpretation of Jimmy Page and Robert Plant of Led Zeppelin's Kashmir. Kashmir is part of her latest solo album, Uncovered, a collection of re-imagined and re-contextualized classic rock, which was described by the Philadelphia Inquirer as "bringing genre-defining music into modern global music consciousness." Curious Flights Presents "Transatlantic Crossings"
Curious Flights continues its 2015-2016 season on Saturday, March 19, 8 p.m. at the San Francisco Conservatory of Music with a program of new works by U.S. and U.K. composers including three world premiere commissions, two U.S. premieres and a week-long residency by two-time British Composer Award winner Simon Dobson. Building upon the "Transatlantic Crossings" program launched in its inaugural 2013 season, Curious Flights brings British composer Simon Dobson to the Bay Area for a weeklong residency offering master classes to local schools and music institutions in addition to leading rehearsals for works that will be showcased at the performance. The program will feature a broad spectrum of his music including the world premiere of a Curious Flights commissioned work for clarinet and electronics performed by clarinetist and Artistic Director Brenden Guy and the U.S. premieres of Crystal for eight trumpets and Another World's Hell featuring the San Francisco Wind Ensemble. The Bay Area's premiere wind ensemble will also highlight new works by Bay Area composers including a second Curious Flights world premiere commission by Noah Luna and a wind ensemble arrangement world premiere of Metanoia by Robert Chastain, both graduates of the San Francisco Conservatory of Music. All three composers will conduct the San Francisco Wind Ensemble for these works. Completing the evening are two chamber works including Tension Study No. 1 by Samuel Adams performed by the Living Earth Show and Red River by Mason Bates featuring the Curious Flights Chamber Ensemble. For further information on Curious Flights, please visit www.curiousflights.com or email info@curiousflights.com. 92nd Street Y today announced concert programming for the 2016/17 season, which features some of the world's most renowned artists in 92Y's acoustically rich Kaufmann Concert Hall and atmospheric Buttenwieser Hall. 92Y is proud to present performances in which artists are able to engage and inspire audiences through a wide and varied repertoire from across musical eras. Pianist Angela Hewitt begins her Bach Odyssey—a four-year survey of the complete keyboard works by J.S. Bach, which will also be presented by London's Wigmore Hall. Soundscape returns for its second season, presenting three concerts of both young and established musicians in boundary-pushing programs. Sir András Schiff Selects: Young Pianists continues in its third season, offering recitals by three young artists selected by Sir András Schiff. The 2016/17 season also features New York premieres of a 92Y co-commission by Pat Metheny, and of works by Mohammed Fairouz, George Tsontakis, Mark-Anthony Turnage, and Jörg Widmann, as well as an arrangement by Peter Serkin of Brahms's Eleven Chorale-Preludes, Op. 122; and debuts by 20 distinguished artists on the 92Y stages. In addition to this broad array of artists and programming, 92Y continues to present its established and highly-regarded series, such as Distinguished Artists, Masters of the Keyboard, Chamber Ensembles, and Art of the Guitar. These series continually reinforce 92Y's position as a presenter that collaborates closely with its performing artists to bring audiences engaging and passionately performed programs of a rich variety of repertoire from the past and the present. The excellence in quality and program innovation continues to be a standard bearer in New York's cultural community. Ms. Arie-Gaifman notes: "We have an exciting season planned, which runs the gamut from renowned virtuosi to fast-rising artists of the new classical generation. I am particularly pleased that we are offering six New York premieres and the 92Y debuts of over ten artists. There is a wide range of artistic vision—from complete Bach cycles to juxtapositions of Renaissance and 21st century music—and high-quality musicianship represented this season, with something for everyone to enjoy." Boston Baroque is pleased to announce its 2016 - 2017 season. The season will feature the Boston Baroque debut of international star countertenor David Daniels in Bach's Mass in B minor on October 21 and 23, as well as the return of soprano Susanna Phillips in her debut of the iconic role of Cleopatra in Handel's opera Giulio Cesare on April 21 and 23, 2017. A very special program of Biber's virtuosic and rarely performed The Mystery Sonatas will feature concertmaster Christina Day Martinson as the solo violinist on March 10. Two annual traditions continue with Handel's Messiah on December 9 and 10, 2016, and the very popular New Year's Eve and Day Gala concerts on December 31 and January 1 featuring Handel's Music for the Royal Fireworks and Bach's Violin Concerto in A Minor. All programs will take place at NEC's Jordan Hall, (30 Gainsborough Street, Boston) except for the two New Year's concerts, which will be performed at Sanders Theatre (45 Quincy Street, Cambridge, MA). Both concert venues are wheelchair accessible. Season subscriptions starting at $168 will go on sale Saturday, February 27 at 10:00 am at www.bostonbaroque.org or by calling 617-987-8600. By the end of this spring, one of New York City's most historic and vibrant neighborhoods will be commemorated in song. And not just one song, but an entire series of new operas. This spring, students in the Graduate Musical Theatre Writing Program (GMTWP) at New York University's Tisch School of the Arts will learn the ins and outs of opera writing when Brooklyn's American Opera Projects (AOP) partners with the esteemed arts school for a new "Opera Writing Workshop." Led by composer Randall Eng, the workshop is an advanced class for composers and librettists of GMTWP at Tisch who will collaborate with an ensemble of eight professional opera singers and two music directors to create short operas under the mentorship of AOP, an opera company in Fort Greene that has developed and premiered contemporary operas for over 25 years. For the inaugural workshop, AOP and Eng have assigned the students to create operas inspired by the Brooklyn neighborhood Fort Greene and the historic Fort Greene Park, the latter of which has been home to a graveyard of Revolutionary War soldiers as well as a source of inspiration for writers Richard Wright and Marianne Moore and filmmaker Spike Lee. In addition to the musical team, AOP will provide the students with special access to staff from NYC Parks and Fort Greene Park Conservancy. NYU associate professor and opera director Sam Helfrich will direct the AOP workshop singers in the site-specific scenes being created with the participation of his design students in Tisch's Design for Stage and Film Department. The operas will be performed in conjunction with American Opera Projects at GMTWP's Black Box Theatre on May 7, 2016 and in Fort Greene Park itself on May 8, 2016. To honor their namesake's March 21 birthday and celebrate March 2016 as Early Music Month, the American Bach Soloists announce a special concert on March 18 by organist and ABS co-founder Jonathan Dimmock. An internationally acclaimed recitalist, Dimmock is currently the organist for the San Francisco Symphony and principal organist at the California Palace of the Legion of Honor. He holds the unique distinction of having been the only American to be an Organ Scholar of Westminster Abbey and is one of the few organists in the world to tour on six continents. Dimmock will perform an all-Bach program that celebrates the master's genius as composer for "the king of instruments." Performing on one of the Bay Area's most treasured tracker organs, he will perform favorites such as the E Minor Prelude & Fugue ("Wedge") and the Toccata & Fugue in D Minor ("Dorian"), along with a few lesser-known yet brilliant works. March 2016 is "Early Music Month," a new, nationwide, grassroots initiative sponsored by Early Music America to highlight the artistry and contributions of Early Music performers, scholars, and instrument builders. In celebration of the occasion, ABS is pleased to showcase the music of Johann Sebastian Bach with this special concert. Tickets: $25. For more information, visit americanbach.org. Philharmonia Baroque's partnership with the Mark Morris Dance Group continues next month as they revive his critically acclaimed L'Allegro, il Penseroso ed il Moderato at Zellerbach Hall in Berkeley, CA. Handel's L'Allegro, il Penseroso ed il Moderato ("The Cheerful, the Thoughtful, and the Moderate Man") is a pastoral ode by George Frideric Handel based on the poetry of John Milton. Morris has created a stunning and highly revered interpretation of the work that has remained in demand since it's 1988 premiere. Philharmonia is pleased to take part in this collaboration once again. SDG Music Foundation has announced updated details about two free public events it is producing in early March to illuminate J. S. Bach's Mass in B Minor, the featured work at the foundation's March 11 Chicago Bach Project concert, where Grammy-winning conductor John Nelson will lead the Chicago Bach Choir and Orchestra and an all-new cast of world-class soloists. The pre-concert events are intended to give listeners a deeper understanding of Bach's monumental, final masterpiece, which many consider the greatest composition in Western classical music. A panel discussion on "The Mass as a Musical Form" will take place from 5:30–6:45 p.m. on Tuesday, March 1, in the recital hall of PianoForte Studios, 1335 South Michigan Ave., Chicago. Johann S. Buis, a guest lecturer for the Chicago Symphony Orchestra and associate professor of musicology at Wheaton College Conservatory of Music, will moderate a discussion about "The Mass as a Musical Form." Panelists will include Martin E. Marty, Fairfax M. Cone distinguished service professor emeritus of the history of modern Christianity at the University of Chicago Divinity School; Mark Peters, professor of music and music department chair, Trinity Christian College; and Jesse Rosenberg, clinical associate professor, musicology, Bienen School of Music, Northwestern University. Johann Buis will present "A Bach Briefing" from 5:30–6:45 pm. on Monday, March 7, at Pianoforte Studios. Buis says his talk will offer insights into Bach's Mass in B Minor from "the performer's perspective." He'll discuss how performances of the work have changed since its concert hall debut in the mid-19th century, with an emphasis on conductor John Nelson's interpretative approach. The one-night-only Chicago Bach Project performance of Bach's Mass in B Minor will be at 7:30 p.m. on Friday, March 11, 2016, at the Harris Theater at Millennium Park in downtown Chicago. Mass in B Minor soloists will include soprano Kathryn Lewek, mezzo-soprano Margaret Lattimore, tenor John McVeigh, and bass-baritone Daniel Okulitch, all making their Chicago Bach Project debuts. Single ticket prices for the Mass in B Minor concert are $25 to $55. Tickets are available online at HarrisTheaterChicago.org, by phone at (312) 334-7777, or in person at the Harris Theater Box Office, 205 E. Randolph Drive. Group discounts are available for groups of 10 or more. Students and military personnel may purchase up to two discounted tickets with valid student or military I.D. at the Harris Theater box office. Special group discounts for students and seniors are available through SDG Music Foundation, 630-984-4300. Web site: www.ChicagoBachProject.org. Andrew Parrott, Taverner Players and Choir; Boston Early Music Festival Orchestra. Virgin Classics 7243-5-57876-2 (2-disc set). 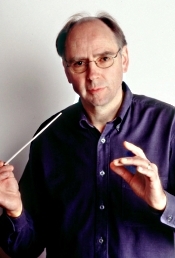 The 1980's saw a huge upswing in the popularity of the period-instruments movement, and conductor Andrew Parrott and his Taverner Players and Chorus were right there in the forefront of the action. Today, we tend to take period instruments for granted, even if with the downturn in classical music recording in the 1990's and beyond, we don't hear about them so often anymore. One result of that situation is this 2004, two-disc, budget rerelease of Baroque favorites by Parrott and his players, plus a few by him and the Boston Early Music Festival Orchestra. EMI originally issued all of the pieces on the discs in the late Eighties and early Nineties, the company recording all of them digitally. In 2004 they assembled the current program and issued them under the Virgin label. Frankly, there isn't a weak link among them. The Pachelbel Canon of the album's title is among the best I've heard (and there must be 800 recordings available). Like the other works in the collection, the interpretation sounds a little brisk, but it never sounds rushed, never breathless as some period-instrument ensembles play early music. Likewise, Parrott presents the other works in the set with a vigorous refinement: Bach's Brandenburg Concerto No. 2; excerpts from his Orchestral Suites Nos. 2 and 3; Vivaldi's "Spring" and "Summer" concertos from The Four Seasons; Purcell's Funeral Music for Queen Mary; and others by Gabrieli, Allegri, and Monteverde. Perhaps my personal favorite, however, is Parrott and company's rendering of Handel's Harp Concerto in B-flat major, with Andrew Lawrence-King on harp. It's simply gorgeous. The sound is also remarkably good throughout most of the music, perhaps a tad less vibrant in the two selections with the Boston orchestra than with the Taverner Players. Still, nothing is ever overly bright or edgy, so one need not worry about any period-instrument fatigue setting in, a condition common to such recordings early on, especially those recorded digitally. At a price new of only a few bucks or so for the two-disc set, it's a bargain, indeed. Also, Magnard: Chant funebre. Jean-Claude Casadesus, Orchestre National de Lille/Region Nord-Pas de Calais. Naxos 8.573563. I've always thought of Richard Strauss's tone poems as a natural progression of the genre dating from Vivaldi, Beethoven, and Liszt through Waxman, Korngold, and Williams. Here, we have Strauss's extended tone poem Ein Heldenleben ("A Hero's Life") performed by Jean-Claude Casadesus and the ensemble he founded in 1976, the Orchestra National de Lille. German composer and conductor Richard Strauss (1864-1949) wrote Ein Heldenleben in 1899 as a kind of tongue-in-cheek autobiography, a semi-serious self-portrait. Strauss was only thirty-four years old when he wrote it, showing how supremely self-confident he must have been by composing a musical autobiography at such an early age. However, he mainly seems to have written it to get in a few digs at his critics, whom he convincingly silences through the music. In response, many critics took their shots at Strauss, suggesting he was merely being indulgent and narcissistic. Whatever, the music has survived in the popular classical repertoire and remains popular to this day. Strauss divided Ein Heldenleben into a number of parts describing stages in the artist's life. The first segment, "The Hero," obviously describes Strauss himself and does so on a large, swashbuckling scale. Here, I expected to find more swagger than I found under Maestro Casadesus's direction. Maybe the conductor wanted us to think the hero of the music a more thoughtful, perhaps more pompous individual than we usually encounter. I don't know. After that, the music turns to "The Hero's Adversaries," his critics, where we hear them squabbling among themselves in amusing fashion. Under Casadesus, the enemies seem well described and their pettiness nicely rendered. Then there's "The Hero's Companion," his wife, featuring concertmaster Fernand Iaciu. The wife appears nicely drawn, patient and understanding, with a lovely tone from Iaciu's violin. "The Theme of Confidence in Victory," "The Hero's Field of Battle," and "Martial Fanfares" are where Strauss engages in all-out war with his critics, reminding them (musically) of his accomplishments by throwing in bits from past hits like Don Juan and Zarathustra, as well as a few horns from Beethoven's Eroica Symphony. Although Casadesus might have drawn up the battle scenes a bit more dramatically, they come over well enough in any case. Following these warring sections we find "The Hero's Works of Peace," The Hero's Withdrawal from the World and Fulfilment," and, finally, "Resignation." With Casadesus they sound appropriately animated by the love and understanding of the hero's wife. It almost seems as though the conductor became more involved in the spirit in the performance as it went along. While the orchestra plays with a professional competency, it never seems big enough or opulent enough for the scale of Strauss's vision. Perhaps, though, my living for so long with recordings by the Chicago Symphony, the Berlin Philharmonic, the Royal Concertgebouw Orchestra, and the Staatskapelle Dresden will do that to a listener. Would I include Casadesus's performance among the best ever committed to record? Well, I haven't heard all of them to make such a commitment, but, no, among the recordings I have heard, I wouldn't say this one is entirely competitive. The listener can find more vivid, more robust, more thrilling, more exciting, and more poetic versions from the likes of Rudolf Kempe and the Dresden State Orchestra (EMI), Fritz Reiner and the Chicago Symphony (RCA), Bernard Haitink and the Royal Concertgebouw Orchestra (Philips), Sir John Barbirolli and the London Symphony (EMI), Sir Thomas Beecham and the Royal Philharmonic (EMI), Herbert von Karajan and the Berlin Philharmonic (EMI), and Sir Georg Solti and the Vienna Philharmonic (Decca). With such a wealth of great performances already available, I can no more than recommend the Casadesus disc to those inquisitive souls who are simply curious about it or to collectors who must have every version of the work available. 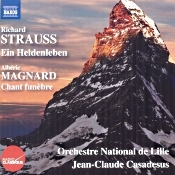 Radio-Classique produced the Strauss work and Aurelie Messonnier engineered it; and Orchestre National de Lille produced the accompanying Magnard piece and Anne Chausson engineered it. They made both recordings at Nouveau Siecle, Lille, France, the Strauss in January 2011 and the Magnard in November 2014. There is no indication on the packaging or in the notes about this being a live recording, so I assume the occasional noises we hear come from the conductor and orchestra members themselves. Otherwise, the sound is fine, with a good sense of depth and dimensionality, fairly good detailing and dynamics, and only a slight edge to the upper midrange. Still, the number of odd noises throughout the performance is a little distracting. In the past six months, while mourning the death of violist Friedemann Weigle following his long struggle with bi-polar disorder, the Artemis Quartet decided to continue its work as an ensemble. Now, the group is excited to announce its new member: American violinist Anthea Kreston, who will take over the second violin position with immediate effect. In a musical chairs scenario, Gregor Sigl will assume the viola position in the quartet, performing on Weigle's instrument in tribute to their late companion. Anthea Kreston, born in Chicago, studied with Felix Galimir and Ida Kavafian at the renowned Curtis Institute of Music in Philadelphia, as well as chamber music with the Vermeer Quartet and Emerson String Quartet. Kreston was a member of the Avalon Quartet - with whom she won the ARD Competition in 2000 - for seven years. In 1999, she founded the Amelia Piano Trio. She has given many concerts in the United States and Europe with both ensembles. The Artemis Quartet looks forward to this exciting new chapter, and will embark on their first North American tour with Kreston joining them this April 2016, as well as continuing to promote their recently-released Erato recording of the Brahms String Quartets 1 & 3 (Weigle's last recording, all the more poignant with the prominent viola part in Quartet No.3). Philharmonia Baroque Orchestra will take center stage during the March concert set entitled "Explore Baroque Europe." Nicholas McGegan will lead the orchestra and audience on an excursion through European Baroque music with works written for the most skilled ensembles of Venice, Versailles, Dresden, and London while featuring the orchestra's own master musicians. "Philharmonia concertante" is the theme of this multinational program of orchestral music from the theater, ballet, and salon, interwoven with solos, duets, and other small ensembles featuring our virtuoso players," writes Philharmonia's Scholar-in-Residence, Bruce Lamott. "These works in the Baroque period do not make the sharp distinction between soloist and orchestra in the manner of later style periods, but allow soloists to emerge from and return to the texture of the whole ensemble," continues Lamott. The program features Arne's Overture to King Arthur, Zelenka's Hipocondrie à 7 Concertanti, Heinichen's Concerto in F major, Tartini's Violin Concerto in D major, and Rameau's Suite from Les Fêtes de L'Hymen et de L'Amour. Philharmonia's own celebrated violinist, Elizabeth Blumenstock, will perform the Tartini violin concerto on her 1660 Guarneri on loan from the Philharmonia Baroque Orchestra Period Instrument Trust. Blumenstock is a highly-admired and long-term member of Philharmonia Baroque Orchestra often serving as concertmaster, soloist, or leader. She also serves as concertmaster of the Göttingen Handelfestspiel Orchestra and the Italian ensemble Il Complesso Barocco and is involved in many acclaimed period-instrument ensembles, including Musica Pacifica, the Arcadian Academy, American Baroque and Trio Galatea. Pre-concert talks will be conducted by John Prescott and take place 45 minutes before each concert. Prescott holds an M.A. and Ph.D. in musicology from U.C. 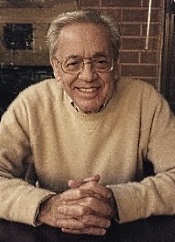 Berkeley and has taught at U.C. Berkeley and the Crowden School in Berkeley. Wednesday March 2 @ 7:30 p.m.
Friday, March 4 @ 8:00 p.m.
Saturday, March 5 @ 8:00 p.m.
Sunday, March 6 @ 7:30 p.m. Tenor Aaron Sheehan returns to the ABS stage February 26-29 as a vocal soloist in Handel's Alexander's Feast. Whether singing the music of Bach, Handel, or one of their Baroque contemporaries, Sheehan's expressive singing and memorable performances are well-known to ABS audiences. Last year, Sheehan won a Grammy Award for "Best Opera Recording." We asked him about winning this important award, the challenges of Alexander's Feast, and where he plans to eat while in the Bay Area. Patrick Vaz is a Bay Area blogger who attends ABS concerts in Berkeley and writes about poetry and performances at "The Reverberate Hills." With ABS's performances of Handel's Alexander's Feast coming up February 26-29, we asked for Patrick's perspective on the poem and the poet that inspired Handel to such great heights. Looking ahead, next month is officially "Early Music Month," a new, grassroots initiative sponsored by Early Music America to raise awareness for this vital musical tradition. To honor the occasion and the March birthday of our namesake, American Bach Soloists is proud to present a concert on March 18 showcasing the music of Johann Sebastian Bach. We will also announce the results of the "Bach Favorites" poll. Vote for your favorite at the February concert. Mark your calendar now: On February 22, ABS oboist Debra Nagy will lead a free public master class at the San Francisco Conservatory of Music on Monday. Since winning an ABS young artist competition in 2002, Nagy has emerged as one of the country's leading exponents on her instrument. She appears regularly with ABS and many other period-instrument ensembles and is the ABS Academy faculty member for oboes & recorders. ABS is pleased to report that ABS Academy alum, countertenor Aryeh Nussbaum Cohen (Academy 2015) will be returning to the Bay Area this summer as a "Merolini" young artist in the Merola Opera Program. Being selected for this elite, opera training program is a great honor and we are delighted that so deserving an artist will enjoy this opportunity. Congratulations, Aryeh! Music Director Ludovic Morlot and President & CEO Simon Woods today announced the Grammy-winning orchestra's 2016–2017 season, presenting an inspiring array of programming that artfully pairs traditional repertoire with bold new works. In Morlot's sixth season as Music Director, the orchestra will present the second part of the two-year Beethoven Cycle, innovative concert experiences including Sonic Evolution and [untitled], a Shostakovich Concerto Festival, star guest artists, commissions, premieres, recordings on Seattle Symphony Media, and Morlot's first opera in Benaroya Hall. "I greatly look forward to a sixth season with the wonderful musicians of the Seattle Symphony," Morlot said. "We are on a journey together with our audiences to not only experience the most exciting symphonic repertoire that we all know and love, but to also explore new and unique musical voices. I'm very happy to welcome Hilary Hahn as our Featured Artist next season, and we're excited to invite her to join us in our education and community projects when she is in Seattle." Award-winning cellist Zuill Bailey joins the National Philharmonic, led by Music Director and Conductor Piotr Gajewski, in a performance of two concertos by the Baroque master Antonio Vivaldi on Saturday, February 20 at 8 pm and on Sunday, February 21 at 3 pm at the Music Center at Strathmore. Bailey also performs Gregor Piatigorsky's brilliant Variations on a Paganini Theme. The concert also features two choral works--Beethoven's Elegischer Gesang (Elegiac Song) and Vivaldi's Gloria. A free pre-concert lecture will be offered in the Concert Hall at 6:45 p.m. on Saturday and at 1:45 pm on Sunday. Tickets start at $29 and are free for young people 7-17 through the ALL KIDS, ALL FREE, ALL THE TIME program. ALL KIDS tickets must be reserved by calling (301-581-5100) or visiting the Strathmore Box Office. Parking is complimentary. Strathmore is located at 5301 Tuckerman Lane, North Bethesda, MD 20852. For more information or to purchase tickets, call 301-581-5100 or visit nationalphilharmonic.org. In one of their most exciting benefit concerts ever, the Young People's Chorus of New York City and Artistic Director Francisco J. Núñez welcome BeBe Winans, a six-time Grammy Award-winner and one of today's most inspirational American gospel singers, and his friends, the iconic gospel artists Dorinda Clark-Cole and Hezekiah Walker, to perform with them and The New York Pops at their Monday, March 7, gala in Jazz at Lincoln Center's Rose Theater. On accepting the invitation to be YPC's special gala guest, BeBe Winans said, "My heart is full with the ideas and dreams of the young people of YPC, and if I can be a part of those dreams becoming reality I'm all in. And so I decided to bring a couple of friends with me, Dorinda Clark-Cole and Hezekiah Walker, and with YPC's gifted young people, we all plan to shake the building and blow the roof with sounds of celebration." Remaining tickets are available from the Jazz at Lincoln Center box office, by calling CenterCharge at 212-721-6500, or online at www.jazz.org. For tickets for the entire gala concert and dinner evening, call 212-289-7779, Ext. 16 or email ypcgala@ypc.org. On Saturday, February 27, we are excited to welcome back internationally acclaimed pianist Jeffrey Siegel and his highly popular "Keyboard Conversations" series in a new concert that celebrates our country's most beloved composers with welcoming classical music and captivating commentary. Audiences discover an informal, entertaining, and instantly accessible introduction to the magnificent piano repertoire, while seasoned music lovers enjoy an enriched, more focused listening experience. 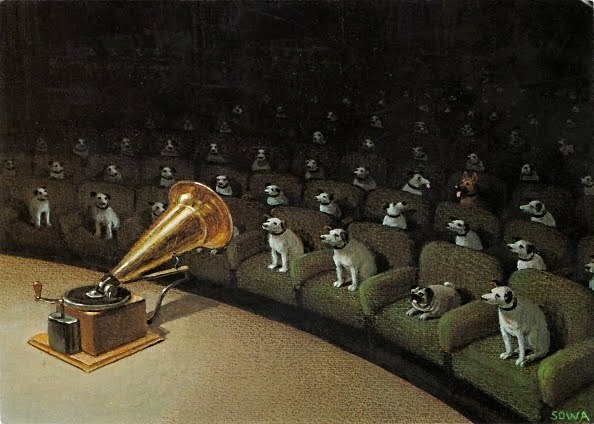 His concerts always deliver a highly entertaining evening for all audiences. Mr. Siegel's "American Salute" features George Gershwin's Rhapsody in Blue, as well as music by Leonard Bernstein, Aaron Copland, and Scott Joplin. 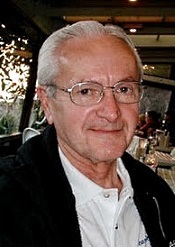 Mr. Siegel's full bio can be found here: http://keyboardconversations.com/fullbios. Also featured this month, on Saturday, February 20, two of the LA Philharmonic's finest musicians take to the Bram Goldsmith Stage at The Wallis to close out the "East/West: Merging Music & Cultures" series. Chinese violinist Bing Wang, Associate Concertmaster of the LA Phil, will perform with LA Phil Assistant Principal and Taiwanese cellist Ben Hong in this eclectic program featuring music by Tan Dun, Mark-Anthony Turnbridge, and Bach. The Foundation to Assist Young Musicians will hold their annual spring recital Saturday, March 12, 3 p.m., and admission is free to the public. FAYM's "Violins for Kids" program provides instruments, materials, two class lessons a week, and two-week summer camps at no cost to youngsters from low-income families. Please come to support these children and be touched by their moving stories. This program is funded by donations from many who believe in building better futures through music. 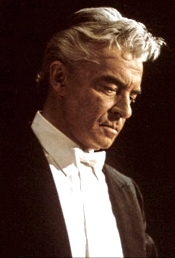 Herbert von Karajan, Philharmonia Orchestra. EMI 7243 4 76900-2. In 2005 the powers that be at EMI continued to find new and varied ways to repackage their older material, of which they had one of the biggest catalogues in the business (most of it now owned by Warner Classics). In the present album, we get a single disc from a multi-disc collection EMI put together called "The Karajan Collection." 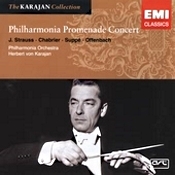 The boxed collection featured Karajan's work with both the Philharmonia Orchestra and the Berlin Philharmonic, but this single disc, Promenade Concert, features just the Philharmonia. The booklet note tells us that the Philharmonia Promenade Concert (1958-1960) comprises the last recordings Karajan made for EMI with the Philharmonia Orchestra before he left for the Berlin Philharmonic. It seems an odd way to go out, this most sober-minded maestro doing a collection of lightweight showpieces, but it's all in good fun, and Karajan genuinely seems to be having a jolly time letting his hair down, so to speak. There are twelve works on the disc, all of them popular warhorses, and I'll mention only a few: Chabrier's España, Waldteufel's Skaters' Waltz, Suppe's Light Cavalry Overture, Weinberger's Schwanda the Bagpiper, Offenbach's Orpheus in the Underworld Overture, and Borodin's Polovtsian Dances, plus bits by Berlioz, Leoncavallo, and the Strausses. Karajan gives his full attention to each and every piece, and each of them radiates a charm and a swagger that, quite frankly, I wouldn't have expected. Of course, one also has to expect Karajan's typically glamorous manner, with many a long-breathed note and even more swooping phrases. It's OK: It does the music more good than harm. The sound appears typical of EMI in the Fifties, leaning rather to the bright, thin side, but with plenty of sparkle and definition. A comparison to another Karajan disc in the EMI series (of Wagner orchestral music) made some twenty years later with Berlin reveals the newer disc sounding fuller and weightier, but not necessarily any better, especially musically. On a further note, Warner Classics have recently made the album available for download, in whole or in part. So there's another option to consider, given that the EMI disc may now be hard to find. 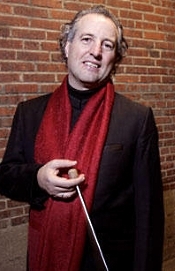 Manfred Honeck, Pittsburgh Symphony Orchestra. Reference Recordings Fresh! FR-718 SACD. Let me begin with a few assumptions, maybe wrong but probably close to accurate. I'm going to assume that if you are reading this review, you have at least a passing interest in classical music. Let me assume additionally that with a passing interest in recorded classical music, you are probably already familiar with Beethoven's Fifth Symphony, some of the most recognizable classical music ever written. Then let me take it a step further and assume that if you have an interest in recorded classical music and know a little something about the Fifth Symphony, you likely already have a recording or two or more of the piece on your shelf (or on your hard drive or wherever). So, my question is: Why do you need another? Are you reading this review out of curiosity? Do you feel there may be something out there new and different and possibly better than what you already have? Or are you a collector of everything Beethoven or everything Fifth Symphony? 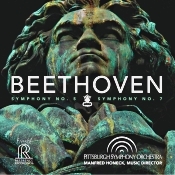 Whatever the case, this new entry from Manfred Honeck and the Pittsburgh Symphony on Reference Recordings Fresh! should pique the interest of practically all of you. It's certainly new and different. Whether it's better is another story. I'm not usually keen on live recordings, and I found the coupling of the Seventh Symphony more to my liking than the Fifth. Thus, for me it sort of narrows the disc's appeal. But other listeners may find much to enjoy. Let's continue. Honeck opens the album with the Symphony No. 5 in C minor, Op. 67, which Beethoven premiered in 1808, having worked on it over the course of some four years. (The premiere, incidentally, famously also included the premieres of the Sixth Symphony, the Fourth Piano Concerto, and the Choral Fantasy among other things, the concert lasting over four hours and conducted by Beethoven himself.) Music historians are quick to point out that Beethoven once wrote "I want to seize fate by the throat; it will never bend me completely to its will." Further, in reference to the beginning of the first movement he remarked to a friend, "Thus Fate knocks at the door!" Now, here's the thing. With so famous a work, there have been numerous interpretations and in the past hundred years a multitude of recordings of it. However, none of them is definitive since none came from Beethoven's own time. Which one of today's recordings would have most pleased the composer? Which one is the "best"? Well, clearly, there is no "best." There is only the performance that most satisfies the individual listener. And this is where Honeck comes in. He writes in the extensive booklet notes that he, too, faced perplexing questions of interpretation, which is why he came late to recording any of the Beethoven symphonies. Fair enough. But there's the "however": Honeck writes "At times, it is necessary to support the rhythmic structure (I have asked for some accents and emphasis) and though Beethoven has not specifically indicated this in the score, one can read it in the musical language." Later, Honeck repeats the notion, saying of the scherzo, "...I have highlighted the humor by emphasizing the unexpected accents..., again not overtly notated in the score, but certainly implied in the music." Honeck's rather liberal interpretation of Beethoven's music remind me of an old Bob and Ray routine in which the quizmaster of a spelling bee asks a contestant to spell a word and then interrupts him before he has a chance to do so, saying, "No, no, you were going to spell it wrong; I could tell." Somehow, Honeck says he knows what Beethoven intended, even though Beethoven never actually indicated it. OK, I suppose that's what interpretation is all about; but it means that Honeck's Beethoven Fifth may or may not appeal to everyone's taste, especially with the liberties he takes with certain emphases, intensifying some notes and phrases more than some listeners may like. Honeck's expressive rubato goes a long way in maintaining our attention, although his phrasing can also seem a tad eccentric at times. I thought the second-movement Andante con motto worked best using this emphatic approach, and it never flags. What's more, we hear a good buildup to the finale, although when the finale does come, it doesn't burst forth with as much enthusiasm as I'd hoped. The result of Honeck's reading of the symphony is at once different yet somewhat heavy and staid, too. The stresses are there for all to hear, yet the overall impression seems to me one of over-calculated fussiness. Now, don't get me wrong. It's a strong, committed performance, full of well-disciplined control, with an especially good response from the orchestra, who also sound committed and well disciplined. It's just that I don't hear all that much that excites me about the reading, and in parts, at least, it seems actually to drag a bit. I don't feel the electricity in it that I feel in a few other, competing recordings. My final judgment: Honeck's recording of the Fifth does not appeal to me as much as the driving, headlong execution of the score by Fritz Reiner and the Chicago Symphony (JVC or RCA); the solid, concentrated realization by George Szell and the Cleveland Orchestra (Sony); the handsomely traditional rendition by Karl Bohm and the Vienna Philharmonic (DG); or, most persuasive of all, the truly galvanizing version by Carlos Kleiber, also with the Vienna Phil (DG). These are hard acts to follow, no matter how much a competing conductor claims to be adhering to the composer's implied intent. Beethoven wrote the Symphony No. 7 in A major, Op. 92 between 1811 and 1812. Compared to the Fifth, the Seventh is a sprightlier, more sparkling piece of music, a work that one of its many admirers, composer Richard Wagner called the "apotheosis of the dance" because of its lively rhythms. Here, I enjoyed Honeck's performance more than I liked his Fifth. He doesn't appear to be trying to shape the music to his own peculiar needs as much, rather letting it flow more effortlessly, letting it dance more freely, if you will. My judgment of Honeck's Seventh: Go for it. The competition is not as great as in the Fifth (I like Colin Davis's lyrical account on EMI as well as Carlos Kleiber's more stringent view on DG), and Honeck's way with the music appears animated and unforced. Producer Dirk Sobatka and engineers Mark Donahue and John Newton of Soundmirror, Boston, recorded the music live at Heinz Hall for the Performing Arts, Pittsburgh, PA in December 2014. They made it for hybrid SACD 5.1 surround, SACD 2.0 stereo, and CD 2.0 stereo. I listened to the two-channel SACD layer. I don't really care for recordings made before a live audience for two reasons: I usually find audience noise and applause distracting, and I usually find the engineers have recorded everything too closely in order to minimize audience noise. In the former case, the engineers have done a great job in almost eliminating audience noise completely, including applause. In the latter case, the recording still sounds quite close up, losing a little something in orchestral bloom and room ambience. Otherwise, it's quite a good recording, with wide dynamics, strong impact, good clarity, fine definition, and smooth overall response. I doubt that anyone but the pickiest audiophile would find the sound displeasing. The Cypress String Quartet (Cecily Ward, violin; Tom Stone, violin; Ethan Filner, viola; and Jennifer Kloetzel, cello) announced today that the ensemble will disband in the summer of 2016 after 20 fulfilling years of performing together. A Farewell Concert will be presented by the Cypress at the Green Room of the War Memorial Building on June 26, 2016. As a culmination of the group's work together, the Cypress's recording of the complete Beethoven String Quartets will be released on AVIE Records in May 2016. This release will be in conjunction with a month-long Beethoven celebration in the city of San Francisco, during which the quartet will present all 16 quartets at public venues in every district as a gift to their hometown that has supported and nurtured the ensemble for the past two decades. Additional highlights of the Cypress Quartet's celebratory 20th anniversary season include performances of the complete Beethoven Quartets cycle in Prague, Budapest, and Vienna in fall 2015; a tour of Germany with an all-American program including concerts recorded for radio broadcast by WDR (Westdeutche Rundfunk) in Cologne and SWR (Südwestrundfunk) radio; the group's 17th Annual Call & Response program at Herbst Theatre in March 2016; an inspired set of Salon Series programs taking place in October, February, and May in intimate venues in Berkeley, San Francisco, and Palo Alto; a concert at Sonoma State's Green Music Center in February 2016; a Farewell Concert at the Green Room of the War Memorial Building in June 2016; and collaborations throughout the season with cellist Zuill Bailey and violist Barry Shiffman culminating in a live recording in spring 2016 of the two String Sextets of Johannes Brahms with Bailey and Shiffman. This Brahms Sextets recording, as well as an album of music by Elena Ruehr, will be released on AVIE Records in the late fall of 2016 and spring of 2017, respectively. The Cypress Quartet's decision comes after a great deal of reflection and discussion, and the quartet agrees that it is the right time for them to move on to explore new artistic territories as individuals. The members of the quartet are deeply grateful to vast numbers of fans, donors, fellow musicians, and presenters for all of their support of the Cypress Quartet. Fort Worth Opera (FWOpera) and Friends of the Cowtown Coliseum will present "Caruso in Cowtown" the ultimate evening of "Cowboys and Culture" Thursday, April 7, 2016, at Cowtown Coliseum. This special one-night-only, black-tie gala will recreate famed tenor Enrico Caruso's historic 1920 Fort Worth concert, brilliantly showcasing how the city's deep western roots complement the thriving cultural mecca it is today. Mayor Betsy Price stated, "We are proud to have organizations like the Fort Worth Opera and Stockyards Championship Rodeo partner together to model what it means to be the City of Cowboys & Culture. The reenactment of Caruso's historic performance is a fantastic example of how Western heritage and fine arts have long shaped our wonderful city." Tables start at $2,000 and individual dinner tickets available for purchase at $200. For more information on table benefits, prices, and reservations, contact FWOpera Events Manager Emily Weir at emily@fwopera.com or 817.288.1214. Collage New Music announces the next concert in its 2015-2016 season titled "Eddie's Musical Spheres Memorial Concert." In recognition of Edward Cohen's enormous gifts as a teacher, mentor and composer who gave so deeply to the Massachusetts Institute of Technology music department and to Boston's musical life, the Institute organized a series of concerts in Cohen's name. Collage New Music was honored to be asked to give the first of these concerts in 2006 and the ensemble is now returning to present the 2016 concert. 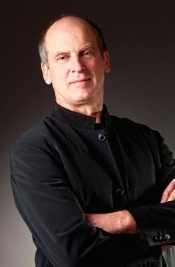 Collage New Music's Music Director, David Hoose will conduct. The evening's program includes music by Cohen's greatest influence, Seymour Shifrin; an early song cycle by his MIT colleague Peter Child; and music by recent MIT graduate Nina Young, whose music shows some of the passionate dignity of Cohen's. The program also includes Cohen's beautiful Elegy, for soprano and chamber ensemble. Guest vocalist, Nina Guo will be performing during the concert. Guo, a soprano, is a recent graduate of New England Conservatory where she was a student of Lisa Saffer. The concert will be held in Killian Hall at MIT on February 14, 2016. The concert starts at 4:00pm. 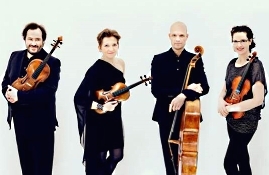 The Danish String Quartet embarks on U.S Tour, February 13-March 1, 2016, performing Beethoven, Mendelssohn, Nørgård, Schnittke, and Janácek. The Danish String Quartet returns to the United States on a seven-city tour, including a teaching residency at the University of California Berkeley. The young ensemble, already renowned globally for their outstanding level of musical refinement and lush interpretations of classical, contemporary, and folk traditions, offer programs featuring elegant and nuanced compositions of the 21st century, as well as the classics, which they have been praised by the New York Times as "...one of the most powerful performances of [Beethoven's] Opus 132 I've heard live or on disc. The musicians acutely attuned to one another, didn't appear to be on autopilot even for a millisecond, with every nuance, phrase, and gesture beautifully wrought." On February 21, the DSQ gives the sixth and final performance of the Chamber Music Society of Lincoln Center's "The Beethoven Cycle," in which every Beethoven string quartet is played in chronological order. The Quartet follows the Jerusalem, Miró, Orion, and Escher String Quartets, for these performances in Alice Tully Hall. 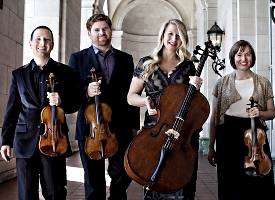 The Quartet is now in their third year as Chamber Music Society Two artists. This March, violinist Stefan Jackiw will embark on a seven-city tour with the Russian National Orchestra, including his Carnegie Hall main stage debut on March 2nd, performing Prokofiev's Violin Concerto No. 2 in G minor under the baton of Mikhail Pletnev. Kirill Karabits will conduct the remaining six dates, with stops in Pennsylvania, Delaware, and four performances in Florida. In addition to the Prokofiev, Jackiw will also play Mendelssohn's Violin Concerto in E minor, Op. 64. Of the Prokofiev concerto, Jackiw says: "Prokofiev's G minor concerto puts the listener ill at ease right from the start, and this dark and unsettling quality drives the piece throughout all three movements. Even during more lyrical sections, such as the sweet Juliet-themed second melody in the first movement, the underlying orchestral harmonies are tortured and gnarled, twisting a knife into the sweetness…For me, this music is quintessentially Prokofiev. The duality of the delicate tenderness and dark, even theatrical, menace is everywhere in this violin concerto." This tour follows Jackiw's triumphant performances of the Charles Ives violin sonatas with Jeremy Denk this past November, which were hailed by the New York Times as "a model of how performers can both inform and entertain an audience with a challenging program." Werner Ehrhardt, Concerto Koln; Vladimir Ivanoff, Sarband. Archiv B0004765-02. It seems like every classical album these days has to have a gimmick, a theme. With this one it's an exploration of the influence of the eighteenth and nineteenth-century Western European waltz on the music of the Ottoman Turks. The disc alternates comparative selections from both musical worlds to make its points, and it's a follow-up to the album Dream of the Orient in which the same performers offered up much the same thing. The disc is certainly enlightening, but I wouldn't say it's entirely entertaining. None of the record's twenty-nine tracks goes on for very long, most of the pieces lasting only one or two minutes, the longest just over four. With all these bits and pieces thrown at us, and with alternating Western (Concerto Koln) and Eastern (Sarband) ensembles, the effect is somewhat dizzying. Among the Western composers (in this case, German and Austrian) are Mozart, Lanner, Beethoven, and Strauss, Sr. Among the Eastern composers are Dede Efendi, Abdi Effendi, Demetrius Cantemir, and Zeki Mehmed Aga. 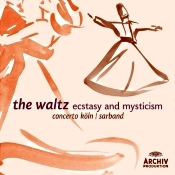 The producers titled the CD Ecstasy and Mysticism because the Turkish composers assimilated some Western waltz rhythms into their reflective and religious works. As the booklet insert tells us, "even entering into the ritual of the 'whirling dervishes.'" Fair enough. But when we don't get to hear more than a minute or two of anything in particular, I wonder how much impact either the waltz or the mysticism has on a listener. Fortunately, Maestros Ehrhardt and Ivanoff conduct lively, spirited interpretations of the music, and the ensembles play remarkably well for them. Unfortunately, because the music is so delightful, it just tends to make one long for more. Not helping matters is that DG Archiv's sonics appear unimpressive at best. The disc, which Archiv released in 2005, sounds excessively warm and soft, yet the engineers recorded it relatively close-up. Go figure. Of course, the Archiv engineers may have calculated the sound by design in order to tailor it to the romanticism of the music; I don't know. In any case, I liked the album's concept quite a lot; I just didn't care much for its execution. Also, The Rock. 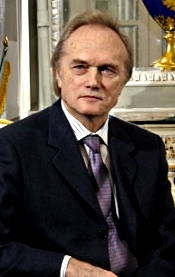 Alexander Dmitriev, Academic Symphony Orchestra of the St. Petersburgh Philharmonia. Cugate Classics CDC010-2. For me (I know the phrase "for me" is redundant in a review, which is mainly opinion, anyway, but sometimes I want to emphasize that not everyone may agree with me), Rachmaninov's Second Symphony is the last great symphony of the Romantic Age in classical music. Russian composer Sergei Rachmaninov (1873-1943) premiered his Symphony No. 2 in E minor, Op. 27, in 1908, having probably no idea that his work would someday compete in the basic classical repertoire with things his predecessor, Peter Tchaikovsky, had written. More likely, he just wanted to write a piece of music that would at least equal the success of his own Second Piano Concerto. I doubt he had any idea that his compatriot, Igor Stravinsky, would be revolutionizing the musical scene just a few years later with The Firebird (1910), Petrushka (1911) and The Rite of Spring (1913). Of course, a lot of composers, including Rachmaninov, continued writing in the Romantic mode well after the Second Symphony, but they became fewer and farther between. In any case, I mention all this because what we need in any big Romantic work is passion, and that's where the best conductors of the music have flourished. People like Andre Previn (EMI), Vladimir Ashkenazy (Decca), Eugene Ormandy (Sony), Ivan Fischer (Channel Classics), Mikhail Pletnev (DG), Gennady Rozhdestvensky (Regis), Mariss Jansons (EMI), and others more or less threw themselves into the music without distorting it, making it strong, powerful, intense, yet warm. With present recording, we have a genuine Russian conductor, Alexander Dmitriev, and a genuine Russian ensemble, the Academic Symphony Orchestra of the St. Petersburgh Philharmonia performing the piece in a 1993 recording that has to some degree weathered the test of time. Whether it competes successfully against some of the rivals I've mentioned, you'll have to judge for yourself. For me, it's a good interpretation but doesn't quite match the overt Romantic fervor of the others. Rachmaninov's opening Largo is big and lush, with Dmitriev adding little of his own, which in this case might sound unflattering. Naturally, there are critics who believe that Rachmaninov's music is already too florid, too ornate, too overly romantic, and requires no further amping up by a conductor, a claim with which I wholly agree. However, there is still some need of an interpretation involved; otherwise, a machine, a metronome, could conduct the music. Maestro Dmitriev begins in a calm, leisurely fashion, allowing the momentum of the Largo to build without exaggeration or distortion. He develops Rachmaninov's seemingly unending flow of melodies with an even yet flexible consistency, building to each climax with a velvety touch. This does not effect a particularly exciting result, however, so listeners looking for a more red-blooded account might look elsewhere. Dmitriev's reading is more of a lyrical interpretation, which isn't a bad approach if you want to hear the full impact of the work's Romanticism. The Scherzo needs to have plenty of zip, and Dmitriev seems a little undernourished in terms of pure adrenaline. This fast second movement still sounds fine in Dmitriev's hands, if not so electrifying as I've heard it done. Again, it's more poetic than exciting (even though he becomes more animated as the music progresses), with a well-shaped central theme. After that we hear the beautiful Adagio, which in terms of its love interest vies with Tchaikovsky's Romeo and Juliet Fantasy Overture for burning passion. This must be one of the high points of Romanticism, although Dmitriev and his solo clarinet player handle it in a somewhat subdued fashion. It doesn't sound quite as richly rhapsodic as it has under other conductors. Yet again the conductor goes for a more poetically beautiful reading rather than a grandly eloquent one. The finale should be highly Romantic, too, and triumphantly heroic. Here, Maestro Dmitriev may have been saving up most of his energy. Certainly, he gives it his all, with an especially fiery opening section and a properly thrilling conclusion. All in all, Dmitriev's recording makes a welcome addition to the catalogue of Rachmaninov performances. However, it does not displace my favored recording by Andre Previn and the London Symphony (EMI, Warner Classics), which seems to me to combine all the right elements of excitement, expressiveness, aesthetics, and high Romanticism the music requires. 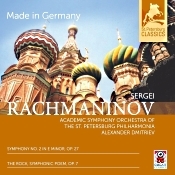 The accompanying work, The Rock, was Rachmaninov's first major orchestral composition. It's a sensitive tone poem, and Dmitriev handles it so. Its contrasting light and dark, airy and weighty, tones come across vividly. Nicely done. Producers Iris Mazur and H. Memo Rhein and recording producer Felix I. Gurdji made the album at St. Petersburg Philharmonia Hall in 1993, and B-Sharp Music & Media Solutions remastered it using 24-bit technology in 2015. The high quality of the sound pleasantly surprised me. The miking is not too close nor too distant. The stereo spread is wide (sometimes extending well beyond the far edges of the speakers), and dimensionality is good. Moreover, there is no brightness or edginess about the sonics; everything is smooth and natural, if a touch soft. Dynamics seem a tad limited, too; I was hoping for a broader range with a bit more impact. Highs appear well extended; bass not so much. Nevertheless, it's all still adequate, so these are probably just minor quibbles on my part. On Friday, March 4 at 7:30 p.m., Music Institute faculty member Xiaomin Liang and Jue He perform the opening night concert, featuring Samuel Barber's Souvenirs; Sergei Rachmaninoff's Suite No. 1 for Two Pianos, Op. 5; Astor Piazzolla's Libertango, Tangata, and Michelangelo; Witold Lutoslawski's Variations on a Theme by Paganini; and Carmen Fantasy, with themes by Georges Bizet arranged for two pianos by Greg Anderson. Liang and He, who perform as the Liang-He duo, won the CDPF's "Liszt 2000" International Competition for piano duos in 2011, then earned the gold medal at the Tokyo International Piano Duo Competition in 2014. They met while studying at Northwestern University, where both earned doctorate degrees. The duo has performed in festivals and concert series throughout Asia and North America and has frequently been featured on WFMT, Chicago's classical music radio station. They toured more than 40 cities in China from 2012 to 2014, performing in major cities such as Beijing, Shanghai, and Guangzhou, receiving rave reviews and further accolades. The Faculty Extravaganza concert, the Mini-Fest's most popular event, takes place Saturday, March 5 at 7:30 p.m., featuring Music Institute piano faculty members Elaine Felder and Milana Pavchinskaya, Mio Isoda and Matthew Hagle, Irene Faliks and Maya Brodotskaya, Inah Chiu and Sung Hoon Mo, Kathy Lee and Akiko Konishi, Claire Aebersold and Ralph Neiweem, and Grace Juang and Mark George performing music by Ravel, Brahms, Corigliano, Liszt, Chabrier, and others. Pianists are welcome to register for the March 4–6 Mini-Fest, featuring concerts, master classes, lectures, coachings, and student recitals. Tuition is $95 per student, which includes admission to all concerts and events, participation in student recitals, coachings, and a festival dinner. Registration deadline is February 22, 2016. 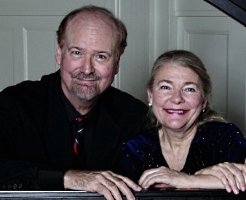 The Chicago Duo Piano Winter Mini-Fest concerts take place Friday, March 4 and Saturday, March 5 at 7:30 p.m. at Nichols Concert Hall, 1490 Chicago Avenue, Evanston. Tickets are $30 for adults, $20 for seniors, and $10 for students, available at musicinst.org/cdpf-winter-mini-fest or 800-838-3006. For information, call the Nichols Concert Hall Box Office at 847.905.1500 or visit musicinst.org. American Bach Soloists continue their 27th annual subscription season with four performances of Handel's powerful Alexander's Feast in the San Francisco Bay Area and in Davis from February 26-29. Based on a poem by John Dryden subtitled "The Power of Music," Handel's musical ode for orchestra, chorus, and vocal soloists recounts a banquet held by Alexander the Great in the conquered city of Persepolis. Through his performance, the musician Timotheus moves the great military commander through a course of emotions until he is compelled to seek revenge for his perished Greek soldiers, killed by the Persian King Darius III. Handel's richly scored setting expresses the narrative in a direct manner that is, at times, surprising in its intensity. ABS Music Director Jeffrey Thomas leads the period-instrument virtuosi of ABS, the American Bach Choir, and a trio of vocal soloists in this evening-length work of some of Handel's most ambitious and glorious music. The American Bach Choir, praised for "its round and transparent tone" by San Francisco Classical Voice, will perform the thrilling choruses that punctuate the work, such as "The many rend the skies" and "Let old Timotheus yield the prize." Along with the commentary provided by the choruses, the composer assigns Dryden's narrative to three soloists who relate the power of music to excite Alexander's passions in a series of expressive recitatives and arias that amplify the effect of the words. The vocal soloists for Alexander's Feast will be soprano Anna Gorbachyova (making her ABS debut) whose "captivating presentation with effortless coloratura" was praised by the Westdeutsche Allgemeine Zeitung, Grammy-winning tenor Aaron Sheehan who "set a standard for exposed, emotional singing" according to the Berkshire Review, and esteemed baritone William Sharp, "a sensitive and subtle singer" (The New York Times). Single Tickets: $30-$72; tickets for ABS subscribers $26-$61. Bringing 28 of Vienna's top orchestral musicians and two stellar Viennese singers, the Vienna Mozart Orchestra embarks on a North American tour this spring showcasing masterworks of Vienna's musical heritage and most famous classical composer. True to its name, the Vienna Mozart Orchestra focuses exclusively on the music of Wolfgang Amadeus Mozart, and the program for this tour features a lineup of Mozart's best-loved works. The Vienna Mozart Orchestra, under the direction of András Deák and with soloists Sera Gösch (soprano) and Sokolin Asllani (baritone), performs at David Geffen Hall, Lincoln Center in New York, NY on Wednesday, March 9 at 8pm. The tour continues in Montreal on March 11 and Toronto on March 13. Philharmonia Baroque Orchestra announces its 2016-2017 Season of Heroes. Inspired by music's towering heroes - Vivaldi, Handel, Haydn, Mozart, Beethoven and Rameau - Nicholas McGegan and Philharmonia Baroque Orchestra and Chorale will ignite the world of historically informed-performance with this series of six remarkable concerts. International guest conductors and artists such as Robert Levin, Rachel Podger, Isabelle Faust, Jonathan Cohen and Ietsyn Davies join the orchestra throughout the season leading up to an unparalleled finale. In April 2017, Philharmonia and Cal Performances co-present a full-scale operatic production of Rameau's "Le Temple de la Gloire" at UC Berkeley's Zellerbach Hall. With the original libretto by Voltaire, this version of Rameau's masterpiece has never been performed for modern audiences - until now. In addition to the subscription set of six unique historically-informed concerts, Philharmonia will also release a new CD in spring 2017, perform at Tanglewood and continue its popular PBO SESSIONS series with performances in December and January. Subscriptions to the new 2016-17 season range in price from $177 to $650 and are on public sale. Call (415) 295-1900 to subscribe, or visit philharmonia.org/subscribe. Pianist Bruce Levingston – Premieres in New York & Washington, D.C.
Pianist Bruce Levingston confronts art, race, and politics in three major premieres at Carnegie Hall and Georgetown University in Washington, D.C. in 2016. The acclaimed pianist celebrates the 15th Anniversary of Premiere Commission, the music organization he founded to promote and commission new music, with premieres of James Matheson's Windows and Nolan Gasser's An American Citizen and Repast: An Oratorio in Honor of Mr. Booker Wright at New York's Zankel Hall on Monday, April 4 at 7:30 p.m.
Celebrated for his "mastery of color and nuance" (The New York Times) and his "inventive and glamorous programing" (The New Yorker), the intrepid pianist Bruce Levingston has now commissioned two powerful works that honor the lives of Civil Rights era figure Booker Wright in the moving oratorio Repast and John Wesley Washington, who was born into slavery and became the subject of the famous painting "An American Citizen." Levingston brings an eloquent voice to these figures who for so long had none. These poignant new works tackle the explosive politics of race and citizenship from the past as well as the present by addressing the still-burning question of who is an American citizen. The premiere of Nolan Gasser's Repast, with Levingston at the piano, will feature guest artist bass-baritone Justin Hopkins portraying Booker Wright with a libretto by PEN/Faulkner Award winner Kevin Young. The concert will also include world premieres of Gasser's An American Citizen, as well as James Matheson's Windows. Gasser was inspired by Southern artist Marie Hull's important painting of the same name, which depicts former slave John Wesley Washington. Windows was inspired by the exquisite stained glass windows of Marc Chagall and Henri Matisse, commissioned by the Rockefeller family for the Union Church of Pocantico Hills. Levingston will also take An American Citizen to Washington, D.C. on Wednesday, April 6 where he will appear at Georgetown University's Gaston Hall with university president John DeGioia. His performance of the work will be paired with a discussion about the painting and its subject that inspired the music, as well as the artist Marie Hull, subject of Levingston's new book, Bright Fields: The Mastery of Marie Hull. Other appearances for Levingston this spring include his exciting creative partnership on Wednesday-Sunday, March 2-6 with globally-acclaimed ballerina Alessandra Ferri and star principal of American Ballet Theatre Herman Cornejo. Heralded as "one of the most cherished ballerinas of our time" and one of "the most miraculous artists" (The New York Times), Ferri and Cornejo join Levingston to create TRIO ConcertDance at The Joyce Theater, an intimate, haunting program of commissioned work by the inventive, esteemed choreographers Russell Maliphant, resident artist of Sadler's Wells; Stanton Welch of Houston Ballet; Demis Volpi, resident choreographer of Stuttgart Ballet; and Fang-Yi Sheu, from Taiwan. Choreography is set to the music of Bach, Chopin, Glass, Ligeti and Ravel, with Ferri and Cornejo incorporating the piano into their performance. The evening closes with renowned French choreographer Angelin Preljocaj's heartbreaking "Le Parc" with music by Mozart. On Saturday, February 13, another of Giuseppe Verdi's major operas will premiere at the opera house in Düsseldorf with a new production of Don Carlo. It is directed by the internationally renowned Flemish director Guy Joosten, who has already created two highly successful productions for the Deutsche Oper am Rhein with Strauss's Die Frau ohne Schatten and Poulenc's Dialogues des Carmélites. The conductor is Andriy Yurkevych, who alongside his role as General Music Director at the Warsaw Opera, regularly conducts at the great opera houses in Vienna, Zurich and Madrid. Alfons Flores, who recently created considerable excitement at the Deutsche Oper am Rhein with his evocative canopy of glasses for Donizetti's L'Elisir d'Amore, is the stage designer, and Eva Krämer is the costume designer. 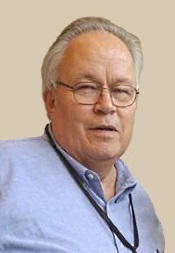 Manfred Voss is the lighting designer. What happens when you put "America's favorite mezzo" together with "America's leading period-instrument ensemble"? We like to call it "fireworks" -- "Baroque Fireworks." The incomparable Susan Graham is joining Philharmonia to perform a selection of Handel's most beloved and celebratory music. These works will delight audiences on the grand occasion of Nicholas McGegan's 30th Anniversary as music director with Philharmonia Baroque Orchestra. Our special "Baroque Fireworks" concerts can be seen on February 11th at Herbst Theatre in San Francisco and on February 12th at Mondavi Center in Davis. Tickets are still available! Beethoven's Symphony No. 7, and a performance by California Symphony Principal Clarinetist Jerome Simas and Principal Bassoonist Douglas Brown in R. Strauss's rarely-heard double concerto Duett-Concertino highlight the California Symphony's "Textbook Classics" program on Sunday, March 20. The Orchestra performs the overture from Mozart's The Marriage of Figaro to open the concert, led by guest conductor Leif Bjaland. The concert is at 4 pm at the Lesher Center for the Arts in Walnut Creek, CA, with a free pre-concert talk with Bjaland beginning at 3 pm. Tickets for the California Symphony's March 20 concert are $42 to $72, and can be purchased by calling 925-943-7469 or through California Symphony's Web site at www.californiasymphony.org. The St. Charles Singers, conducted by founder Jeffrey Hunt, will perform choral works from every century from the 1400s to the 2000s in its "Choral Eclectic" concerts 7:30 p.m. Saturday, April 16, 2016, at Grace Lutheran Church, 7300 Division St., River Forest, Ill.; and 3 p.m. Sunday, April 17, at Baker Memorial United Methodist Church, 307 Cedar Ave., St. Charles, Ill.
"Seven centuries of song in 90 minutes" is how choirmaster Hunt describes the program of secular and sacred gems, mostly a cappella, that will conclude the professional chamber choir's 32nd annual concert season. A highlight will be Thomas Tallis's rarely heard English Renaissance motet "Spem in alium" (Hope in any other) with 40 individual vocal parts. The late-16th-century sacred work expresses hope and trust in God. London's The Guardian newspaper called it "one of English music's most extraordinary compositions" and "a surging tapestry of sound." This deeply devotional work recently found an unlikely mass audience through its appearance in the best-selling adult novel Fifty Shades of Grey. The full ensemble, divided into mixed-voice "solo choirs," will encircle the audience for a surround-sound experience. Hunt says Tallis's score yields a lively musical give-and-take between the between the solo choirs. It also demands a high level of vocal artistry from all of the choristers because each has a solo role, he says. Single tickets for St. Charles Singers "Choral Eclectic" concerts are $35 adult general admission, $30 for seniors 65 and older, and $10 for students.